NCERT Solutions for Class 10 Hindi Course A Rituraj Class 10 Hindi Course A Class book solutions are available in PDF format for free download. These ncert book chapter wise questions and answers are very helpful for CBSE exam. CBSE recommends NCERT books and most of the questions in CBSE exam are asked from NCERT text books. Class 10 Hindi Course A chapter wise NCERT solution for Hindi Course A part 1 and Hindi Course A part 2 for all the chapters can be downloaded from our website and myCBSEguide mobile app for free. 1. आपके विचार से माँ ने ऐसा क्यों कहा कि लड़की होना पर लड़की जैसी मत दिखाई देना? इन पंक्तियों में समाज में स्त्री की किस स्थिति की ओर संकेत किया गया है? माँ ने बेटी को सचेत करना क्यों ज़रूरी समझा? 4. माँ को अपनी बेटी ‘अंतिम पूँजी’ क्यों लग रही थी? 5. माँ ने बेटी को क्या-क्या सीख दी? 1. आपकी दृष्टि में कन्या के साथ दान की बात करना कहाँ तक उचित है? NCERT Solutions Class 10 Hindi Course A PDF (Download) Free from myCBSEguide app and myCBSEguide website. Ncert solution class 10 Hindi Course B includes text book solutions from part 1 and part 2. NCERT Solutions for CBSE Class 10 Hindi Course A have total 17 chapters. 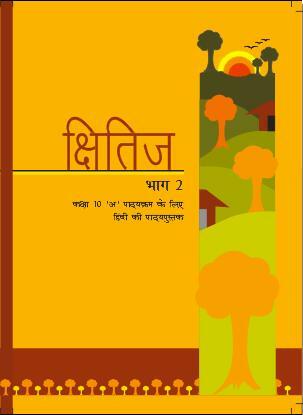 10 Hindi Course A NCERT Solutions in PDF for free Download on our website. Ncert Hindi Course A class 10 solutions PDF and Hindi Course A ncert class 10 PDF solutions with latest modifications and as per the latest CBSE syllabus are only available in myCBSEguide. To download NCERT Solutions for class 10 Social Science, Computer Science, Home Science,Hindi ,English, Maths Science do check myCBSEguide app or website. myCBSEguide provides sample papers with solution, test papers for chapter-wise practice, NCERT solutions, NCERT Exemplar solutions, quick revision notes for ready reference, CBSE guess papers and CBSE important question papers. Sample Paper all are made available through the best app for CBSE students and myCBSEguide website.